Looking for a creative way to freshen up your daily dose of apples? Just drink it! 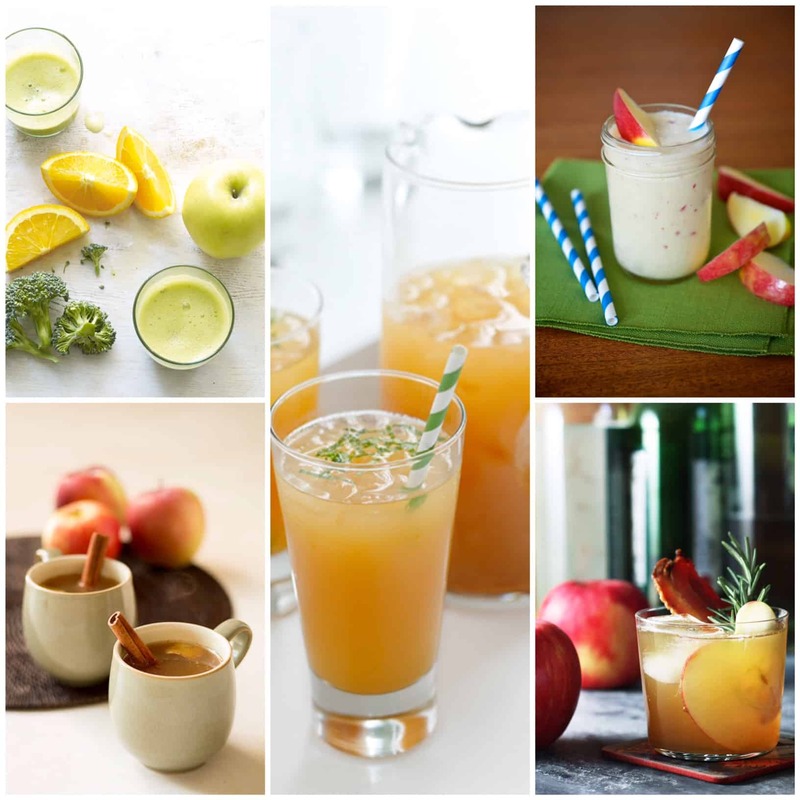 Liquefying apples can make for a yummy – as well as healthy – core ingredient for a wide array of beverages. Turning fruits and veggies into beverages is one of the top food trends for 2015, according to Allrecipes. Apples naturally sweeten up any veggie drink and add delightful flavor to traditional smoothies, cocktails and mocktail recipes you already enjoy—or some of the new ideas below. Here’s a bonus! 8 oz. of liquid apples count as one of your USDA daily recommended servings of fruits and vegetables. So, whether you’re juicing a whole apple, blending in slices, or pouring 100% apple juice or cider, you can be happy knowing that by drinking your apples you’re supporting your health, as well as your taste buds. For the Kids: “Apple Smoothie with Spice” Blend in apples, almond milk, pie spice and applesauce to help your kids get their daily recommended number of fruits and veggies. For Your Health: “Apple Super Protector” Whether for workout fuel, a morning pick-me-up or an overall energy boost, this mix of apples, oranges, and broccoli – packed with vitamin C and antioxidants – is just the ticket. For an Afternoon Refresh: “Apple Ginger Chiller” Drop the cookie or candy bar from your afternoon snack routine and instead wash away your 3:30 p.m. energy dip with this cool combination of 100% apple juice, non-alcoholic ginger beer and vanilla syrup. For an Evening Warm-Up: “Apple Pie in a Glass” Who needs a plate when a cup will do? Try this warm combo of fresh apple cider, nutmeg, ginger root, cinnamon sticks and brown sugar. Adults can add brandy and sherry for extra warmth. For a Nightcap: “Apple Bourbon Bacon Cocktail” Apples are all grown up with this one-of-a-kind mix of bacon-infused bourbon, apple cider and cinnamon simple syrup. Cheers!